As soon as the symptoms appear, rest must be given to the wrist, hand and fingers. As the symptoms subside, resume the activities gradually. Care should be taken that the wrist must be held either in the straight position or in a slightly flexed position. Avoid activities that may cause or enhance the symptoms. Do the activities in such a way that they do not cause or enhance the symptoms. Stretching or Isometric Exercises to the flexor muscles of the wrist and fingers may help to avoid the symptoms. Stretching of the flexor muscles of the wrist and fingers before resorting to any activity or stretching at regular intervals may relieve the symptoms in the wrist. Stretching of the flexor muscles of the wrist and fingers may be done by placing the palmar aspect of the hand on a firm flat surface with the fingers and wrist extended and the elbow straight. Further stretch may be attained by lifting the hand and fingers upwards and holding it in that position for 3 seconds. Isometric Exercises for the flexor muscles of the wrist and fingers may be done by making a ‘fist’ and ‘clinching’ it tightly with the wrist flexed. Hold the ‘clinched fist’ with the wrist flexed for 3 seconds and then ‘fanning out’ the wrist and the fingers. Avoid repetitive activities of the hand and wrist. Avoid forceful and stressful activities of the hand and wrist. Avoid activities that demand frequent flexing of the wrist to 90 degrees as it will reduce the size of the Carpal Tunnel. Avoid activities that demand frequent twisting of the wrist. Avoid activities that demand use of tools that may cause frequent vibration of hand. Good general health may be maintained. Avoid smoking. Medical conditions like Diabetes, Hypothyroidism, Acromegaly and Obesity must be treated properly. Fractures and dislocations of Carpal Bones and fractures of the lower end of radius must be reduced properly. Tumors, if present and interferes with the excursion of the Median Nerve in the Carpal Tunnel, must be excised. Keep the muscles of the forearm, the muscles that bend and extend the wrist and fingers, must be kept strong. Restrict the salt intake if one has the tendency of fluid retention. Night splint- It is advisable to wear a night splint while sleeping. The splint must keep the wrist in the neutral position ie. Not too flexed or not too extended to avoid stress on the wrist and fingers. Do not depend on the mouse alone for all applications. Make use of other ‘short cuts’ in the keyboard whenever it is possible. The forearm and the wrist must rest on the table while holding the mouse. The mouse must be held within the hand in such a way that it rests within the hand. The mouse is held in such a way that the middle finger lies at the middle of the mouse, the ring and the index fingers lie on either side. Care should be taken that the fingers lie on the mouse parallel to the mouse. Never twist or turn the wrist in other directions for convenience. Usually conservative treatment is preferred. Prevention- is always advisable. 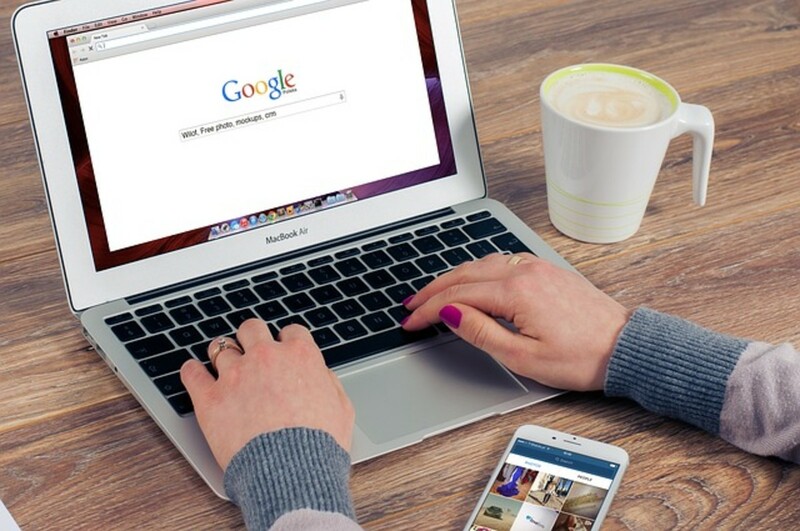 Please refer the section in this article in which I deal with various ways of preventing the occurrence of Carpal Tunnel Syndrome. Rest- Once the symptoms appear, rest must be given to the wrist and fingers. Avoid the activities that may cause or enhances the symptoms. Do the activities in such a way that they do not cause or worsen the symptoms. Once the symptoms have subsided, resume the activities gradually. Avoid activities that demand frequent flexing of the wrist to 90 degrees. Also avoid the activities that demand frequent repetitive movements of the wrist or frequent vibrations of the hand. It is better if one can do the activities with the wrist in the neutral position or slightly flexed. Cryotherapy- In the acute stage, Cryotherapy is very useful in relieving or reducing the symptoms. Pain is relieved because ice is an analgesic as well as a muscle relaxant agent. Moreover ice acts as an anti-inflammatory agent reducing the inflammation of the flexor tendons that compress the Median Nerve in the Carpal Tunnel. Once the inflammation of flexor tendons subsides there will be more space in the Carpal Tunnel and the decompression of the Median Nerve occurs resulting in the relief of symptoms. Ice wrapped in a thick towel is wrapped round the wrist for 15 minutes. Remove the ice for 10 minutes. Reapply the ice again for 15 minutes .Ice may be applied in this way thrice, a day. Due to high sensitivity if one cannot keep the ice for 15 minutes, adjust the time of ice application accordingly. Contrast Bath- Contrast Baths are an alternative method of applying heat with a certain amount of control to aid the normal body temperature regulating mechanism. There is immersion of the body part in the hot and cold water alternately. Take two baths of convenient size, depending on the size of the wrist and the hand to be immersed. Fill one bath with hot water at 40-45 degrees (approximately) and the other bath with cold water at 15 degrees (approximately). The treatment should start and end with hot water, though some physiotherapists prefer to end with cold water. Immerse the wrist, the hand and the fingers in hot water for 3 minutes. Immediately afterwards immerse the wrist, the hand and the fingers in the cold water. While in water movements may be given to the wrist and fingers. Repeat the cycle up to six times. Try to maintain the temperature of the baths at a constant temperature throughout. The whole procedure may be repeated thrice a day. Contrast Bath relieves pain as it has an analgesic and sedative affect. Moreover Contrast Bath also has as an anti-inflammatory affect. It reduces the inflammation of the flexor tendons compressing the Median Nerve in the Carpal Tunnel. Once the inflammation of the flexor tendons subsides there will be more space in the Carpal Tunnel and the decompression of the Median Nerve occurs resulting in the relief of symptoms. Application of Heat- Once the acute stage has subsided, application of heat is preferred. As in the case of Cryotherapy heat relieves muscular spasm and hence the pain. It also has a sedative and smoothening effect. Superficial Heating Modalities like Hot water fomentation and Moist Heat are highly beneficial and can be applied at home itself. Infra Red Radiation (IRR) is also found to be beneficial. Deep Heating Modalities like Ultra Sound Therapy (UST) is also found to be beneficial. Transcutaneous Eletrical Nerve Stimulator (TENS)- It is very useful since it inhibits pain. Iontophoresis- is the transfer of ions of drugs into the body into the skin by the use of constant direct current. The principle of Iontophoresis is based on the fact that the ions will migrate to the electrodes of opposite charge under the influence of an electromotive force. Night Splint- It is advisable to use a night splint while sleeping. 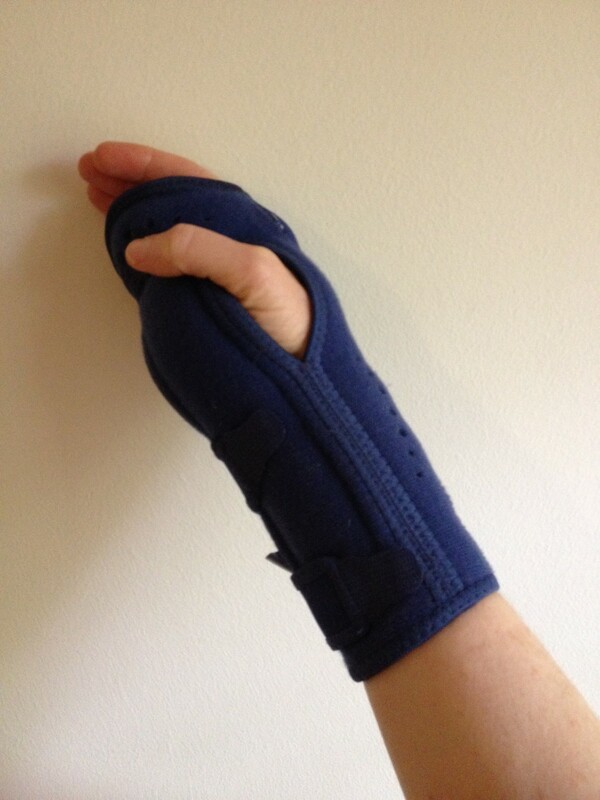 The splint must keep the wrist and the hand in a neutral position. Ie. Not too flexed or not too extended to avoid stress in the wrist and fingers. Splint provides rest to the wrist and fingers. As a result the stress on the wrist and fingers is reduced resulting in the reduction of strain to the Median Nerve. But many people are hesitant to use the splint. Splinting is usually advised for moderate pathology. Usually the splints are used as night splints. Nowadays splinting is not advised during day time. Instead, doing activities which do not cause symptoms is preferred during day time. Active Exercises- Once the acute stage has subsided, an exercise program for stretching and strengthening of the muscles of the forearm (flexors and extensors of wrist and fingers) is indicated. Active Exercises suitable for Carpal Tunnel Syndrome will be discussed later. Surgical Intervention- After surgery, one must avoid all the activities that might have caused Carpal Tunnel Syndrome. 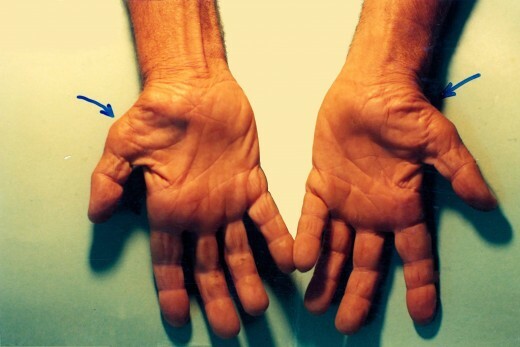 After surgery, recurrence of Carpal Tunnel Syndrome is very rare. If the symptoms persist even after surgery, it might be due to some other reasons. The following are some of the indications for surgery. If the symptoms have not improved even after long periods of non surgical treatments. If nerve damage is suspected. If the symptoms are so severe that they restrict normal activities. If there is persistent loss of sensation, pain or inco-ordination of wrist and fingers. If there is loss of strength of the thumb muscles ie. If the pinch with the thumb is very weak and remains so even after long periods of non surgical treatment. If there is disturbed sleep due to the symptoms leading to depression. The following are some of the common Surgical Procedures. The most common surgery for relieving the symptoms of Carpal Tunnel Syndrome is known as ‘Carpal Tunnel Release Surgery’. This surgery involves the release of the Flexor Retinaculam surgery to relief the pressure on the Median Nerve. The surgical approaches for the release of Carpal Tunnel are the following. Open Carpal Tunnel Release Surgery- longer recovery period –leaves behind a large scar- less chance for other complications- painful. Endoscopic Carpal Tunnel Release- shorter recovery period- leaves behind a small scar – complications may arise - less painful- rare chances for another surgery in future. Mini/ Small Open Release Surgery- requires smaller incision- shorter recovery period- leaves behind small scar- the surgeon can view the ligament directly during surgery- hence less complications. The various exercises for Capel Tunnel Syndrome will be dealt with in my next article.